You’ve reached the limit! Use 215 characters or less. 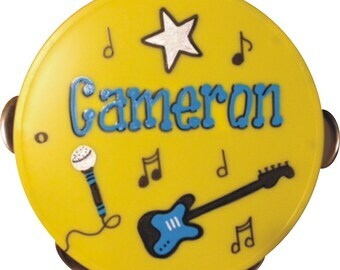 Price is for 1 personalized and gift wrapped tambourine. 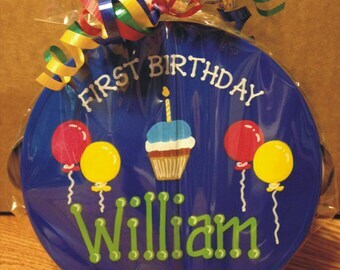 Arrives to you wrapped and ready to hand out at the party! What a fun gift or party favor for a baby turning one - or any age! 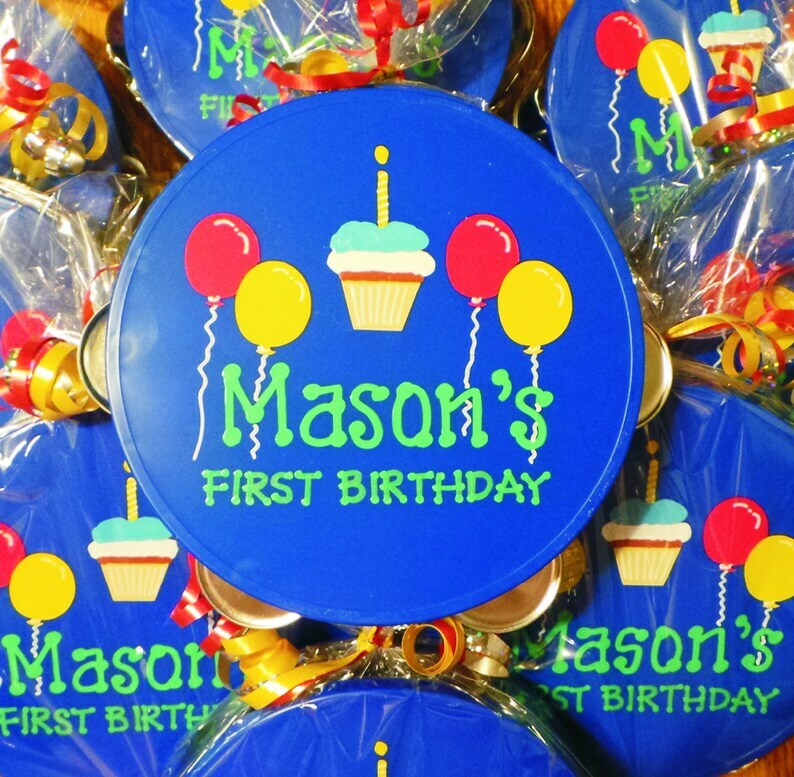 Tambourine measures just over 5" in diameter (perfect size for toddlers). 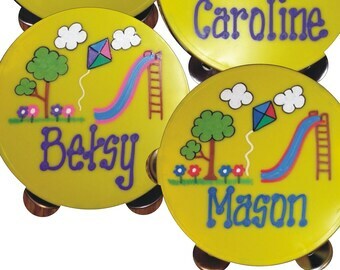 Available in green, yellow, blue and violet. 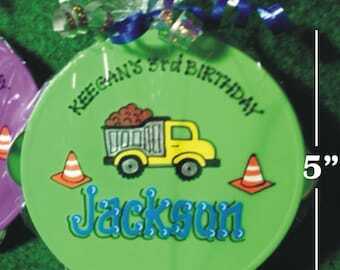 We can use balloon and lettering colors of your choice. Message us with how many you need, where you are located, and when you need them for and we will set up a custom listing with discounted pricing (when ordering more than 10).